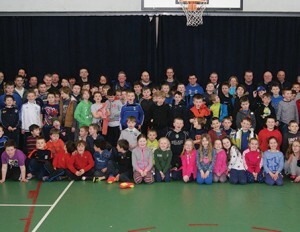 Over 100 young people took part in an excellent activity day that took place on Saturday, 2nd April 2016 in Wilson’s Hospital School, Multifarnham, Co. Westmeath. The day commenced with a very welcome cooked breakfast as many Companies had departed their home town as early as 7:00am. Following breakfast activities got under way and included a climbing tower, canoeing, swimming, mini-olympics and archery. We extend our grateful thanks to the Bursar and staff at Wilson’s Hospital for providing a fun filled action packed day and we look forward to a return visit very soon.